Organising an event is as difficult (and exhilarating) as I thought it would be. 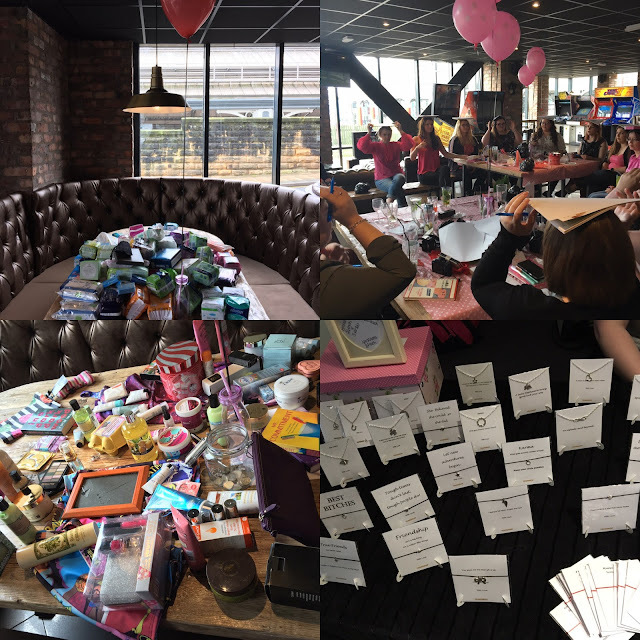 We organised the ‘Liverpool Period Project Event’ to raise awareness and money for what we both believe to be a fabulous cause. Every winter, there is a drive for donations of warm coats and scarves to be donated to homeless centres, but no-one ever thinks to donate sanitary products for women. It’s annoying having to go out and buy tampons at the best of times, but imagine not being able to afford them and having to go without. Unfortunately, this is the reality for a lot of homeless women, who have to go without basic sanitary care. Obviously, this doesn’t sit right with me, and it shouldn’t with you. In a bid to gather enough items for a massive donation to The Whitechapel Centre, Alisha and I organised the LPP Event because what better way to spread the word than with a bunch of other bloggers? I want to say a huge thank you to the staff at Dough Bar. Through the whole organisation process, and the day itself, they were incredibly accommodating! They put on an amazing buffet, let us hire their fabulous space, and even got involved with The Body Shop games! They went out of their way to make sure everyone had a great time, and I’d absolutely recommend a visit. Thank you to all the brands that donated prizes to the raffle and for our goodie bags! Everyone loved them! Thank you to all of the bloggers that came – we couldn’t have done it without you! You were all so amazingly generous, and I am very thankful you all got behind the cause. Thank you to Teardrop Designs, and Michelle from The Body Shop for coming and supporting us on the day. Teardrop made a special set of bracelets for us, which are still available on their website so make sure you snap one up! Thank you so much to Alisha for helping me organise the whole day, and to my lovely boyfriend, Dave for putting up with my stress filled rages. I appreciate my blog post isn’t as in-depth as you’d probably like, but here are links to some posts from bloggers that came to the event! Maybe there will be another event - who knows? If you liked this, you'll love Easter Carnlival.